Recognizing the hard work and accomplishments of our newly ranked members is one of the highlights of the International Grand Convention. Read on for a list of all the exciting events that honor these dedicated members! We love celebrating our top leaders at the convention every year! As a special treat, we have a few perks for our members who are ranked Diamond, Crown Diamond, and Royal Crown Diamond. Check out a few of the highlights below. Rest and recharge in our exclusive Diamond Lounge. You and one guest can kick your feet up, chat with Young Living peers, and relax in comfortable seats. Snacks, charging stations, and computer consoles will also be available. Royal Crown Diamonds can arrange complimentary ground transportation between the Salt Lake City International Airport and their hotel. Please email recognition@youngliving.com to arrange your ground transportation. Royal Crown Diamonds who become recognized Royal Crown Diamonds by qualifying three consecutive months before June 2019 can register themselves and one guest to attend this exclusive dinner at the state capitol building! It gives our RCDs the chance to rub shoulders with other leaders and celebrate their big wins. Kids Camp and Teen Camp will be open during this event to Royal Crown Diamond members who have already registered their children to attend Kids Camp. *We discourage children from attending; Kids Camp will be open to accommodate this event. Members who have achieved Diamond rank and above may bring one guest over the age of 18 to get a sneak peek of our new YL-branded merchandise and long-standing fan favorites! No registration is necessary. When: Tuesday, July 16, 10 a.m.-2 p.m.
Members who have achieved Diamond rank and above before June 2019 are invited to register for a spectacular performance of Cinderella from March 18-May 15. Attendees may also register one guest who is either a family member over the age of 5 or a YL member Diamond-ranked or above. Come join us on the Young Living Centre Stage for the performance of a lifetime! Kids Camp and Teen Camp will be open during this event to Diamond members who have already registered their children to attend Kids Camp. After the show, attendees will be dropped off at the Salt Palace Convention Center to check in for convention at Diamond registration in room 150. When: Tuesday, July 16, 2-7 p.m. A 1:30 p.m. bus pickup from the Salt Palace Convention Center south entrance is available for those who would like to tour the new Global Headquarters. 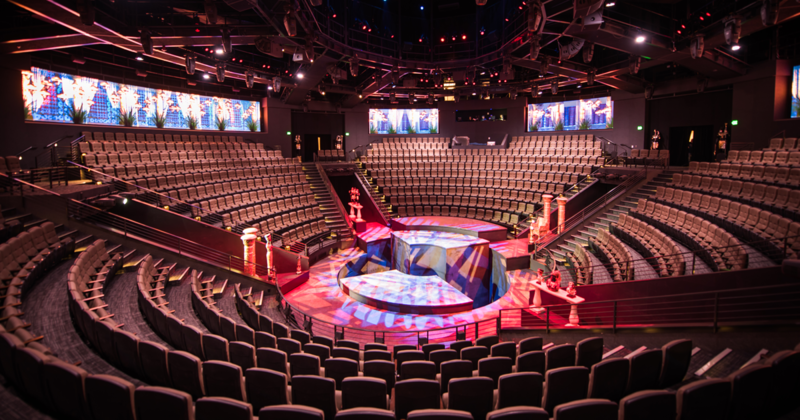 Members who have achieved Crown Diamond rank and above before June 2019 are invited to attend a tour of the new Global Headquarters and a catered lunch on July 16 before a spectacular performance of Cinderella. Attendees may also register one guest who is either a family member over the age of 5 or a YL member Diamond-ranked or above. Crown Diamonds will enjoy a catered lunch before the show, and then all Diamond+ attendees will see a private viewing of Cinderella on the Young Living Centre Stage. When: Tuesday, July 16, 2-7 p.m. An 11:30 a.m. bus pickup from the Salt Palace Convention Center south entrance is available for those who would like to tour the new Global Headquarters. Get a private sneak peek of the expo! Members who have achieved Diamond rank and above are invited to attend. Attendees may also bring one guest over the age of 18. No registration is necessary. 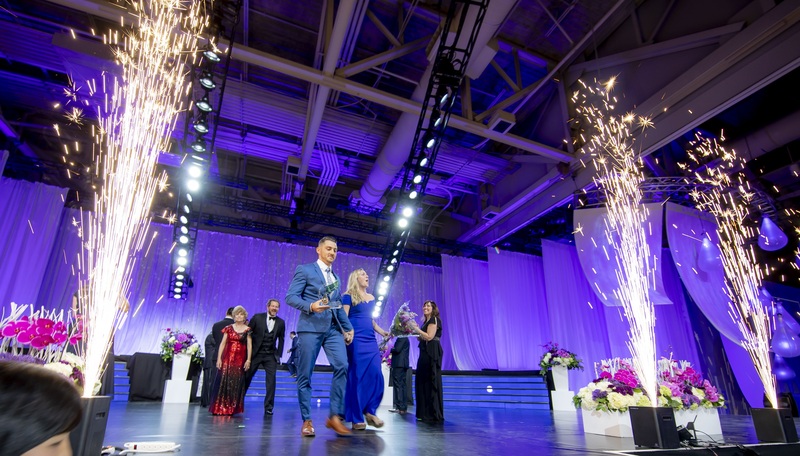 When: Wednesday, July 17, 3:30–5:30 p.m.
Join us for an exclusive night honoring the accomplishments of Young Living members across the globe. Enjoy, food, friends, and fantastic entertainment. All members in attendance who advanced to the rank of Diamond and above for three consecutive months from April 1, 2018- March 31, 2019 (March being month one of your rank qualification per the new Recognition P&P), will be recognized on stage! Royal Crown Diamonds can reserve one or two full tables* with 10 seats each, and Crown Diamonds and Diamonds can reserve one full table* with 10 seats. Tables can be reserved for $950 each. Please reserve your tables between March 18 and May 19. Diamonds and above who have increased in rank between April 1, 2018, and March 31, 2019, will receive an email with a discount code for a free full table. When: Thursday, July 18, 7-9 p.m. Diamonds and above will be admitted at 6:30 p.m. Reserved tickets can be picked up at Diamond registration on July 16 or 17 or at the Diamond Lounge in room 254 of the Salt Palace Convention Center on July 18. ** You may distribute your tickets to any guest over the age of 18.† Tickets must be presented to gain entrance into the gala. *Table reservations will be assigned on a first-come, first-served basis. **Lost or stolen tickets will not be replaced. Please remember that you count as one seat for your purchased table. †We discourage children from attending; Kids Camp will be open to accommodate this event. Anyone who achieved the rank of Silver+ once between April 1, 2018 and July 31, 2018, as well as anyone who achieved the rank of Silver+ for three consecutive months between August 1, 2018 and May 31, 2019, will be invited to get jiggy with it all evening. You can come enjoy some fly dancing, activities, appetizers, networking, and fun! Bring along one guest and come dressed in your freshest 1990s attire to show off your smooth moves with fellow Silver, Gold, and Platinum members at this sweet party. Register between March 18 and May 15. For additional questions, please contact events@youngliving.com. When: Thursday, July 18, 9-10:30 p.m.
Wristbands for this event will be available for pickup at the Recognition Experience. You must wear a wristband to gain entrance into the party. Platinum: Wednesday, July 17, 11 a.m.-5 p.m.
Gold: Thursday, July 18, 9 a.m.-4 p.m.
Silver: Friday, July 19, 9 a.m.-4 p.m.
Silver+: Saturday, July 20, 9 a.m.-4 p.m.
Come celebrate the achievements of your Young Living leader peers! You can see who has advanced ranks, who are the retreat qualifiers, and so much more. Snap a picture with you and your friends’ rank displays while you take a beat away from the hustle and bustle of convention in Hall 2 of the Salt Palace Convention Center. Wednesday, July 17, 7 a.m.-5 p.m.
Thursday, July 18, 9 a.m.-4 p.m.
Saturday July 20, 9 a.m.-4 p.m.
We’re beyond excited to see you and celebrate all your accomplishments in Salt Lake City!